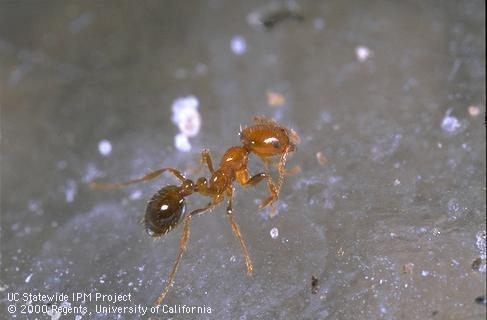 People sometimes confuse RIFA with the native southern fire ant. Both can become very agitated when their nest is disturbed but RIFA are more likely to attack. 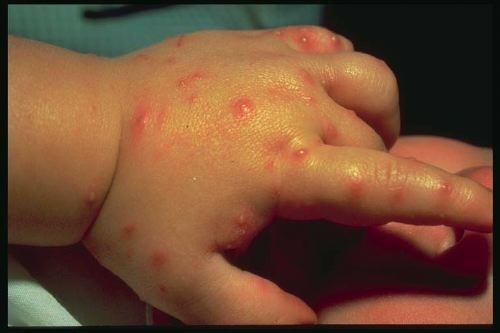 RIFA can bite and sting its victim repeatedly, and its sting is more serious, causing a burning and itching sensation. This is followed by the formation of a white pustule, which can take several weeks to disappear. If not kept clean, the pustules can become infected and may leave permanent scarring. A small percentage of people are allergic to these stings and may need medical assistance. How does this invasive pest affect California? RIFA has been present in southern California since 1998, in both commercial and residential areas of Orange, Los Angeles, Riverside, San Bernardino, and to a lesser extent, San Diego counties. It has also been discovered in almond groves in the Central Valley. Nurseries and garden centers—products must be quarantined; the quarantine requires that potted plants cannot be shipped to new areas unless pots are drenched with pesticides, an expensive process. Farm fields and orchards—RIFA's tendency to sting and produce painful pustules makes them a hazard to field workers. Livestock industries—newborn livestock and poultry are particularly vulnerable to an attack by RIFA. Farming operations—RIFA may clog irrigation lines and short-circuit electrical systems as they forage for food. Natural ecosystems— young birds in nests and lizards are especially susceptible to an attack by RIFA. Controlling the red imported fire ant is costly; money must be spent to control ants in nurseries, urban areas, and farms. If you suspect that RIFA is on your property, call the California Department of Food and Agriculture at 1-888-434-7326. 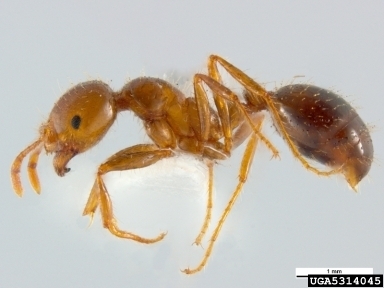 You can read more about this invasive pest at Pest Notes: Red Imported Fire Ant and on the Center for Invasive Species Research Red Imported Fire Ant page.